Also, as you may have noticed there have been a few changes here at FPC. Tony at Evenpar Solutions has been awesome and helped me switch over from blogger to Word Press and also updated my site. We are still tweaking a few things, especially with the posts. They should be going back to full posts (instead of truncated) soon. 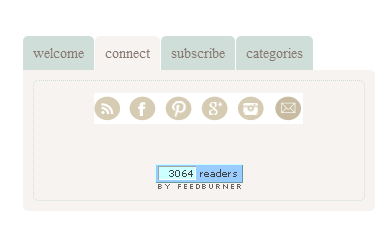 I love having everything a little more organized with the tabs. Something I have been wanting for a long time on this site is a way to search more specifically. The search tool on the right hand side can do just that and can narrow down your search options so you are not so overwhelmed. 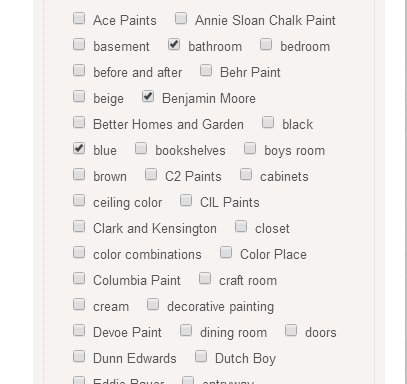 For example, if you wanted to only see blue bathrooms and you love Benjamin Moore paint, click on the correct labels and then submit. That particular search option will come up and then you can browse through what you are specifically looking for. Word Press is pretty amazing, kind of overwhelming and I am still learning how to use it, but thank you for sticking with me and for being such fantastic readers. 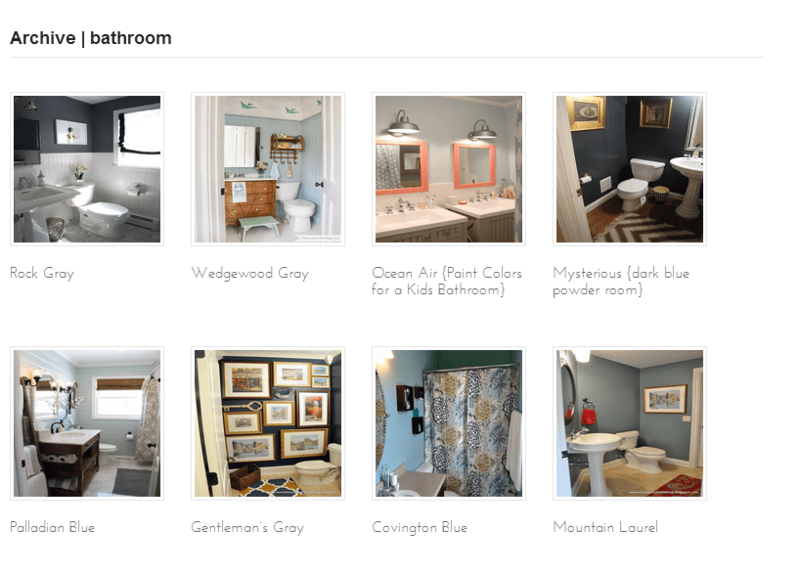 Hopefully this site is a little more user friendly and can help you find the inspiration you are looking for faster. Have a great weekend! !